ReImagine Interiors is an award winning full-service home design and staging company driven by a passion for creativity and service. At ReImagine Interiors we believe that creating spaces in which people love to live can greatly enhance their life. Our mission is to discover the vision our clients have for their home, and transform it into a beautiful living environment - a space that uniquely represents them. Areas served include the Western suburbs, along the Main Line into Philadelphia. Change is the only constant in today’s ever-evolving world. Change is powerful and influential, but sometimes we face “designers block” when it comes to making these desired changes. I consider myself to be more than an interior designer, I am a problem solver as well. For the past 15 years, open communication and attention to detail have been at the core of my design philosophy. My process is simple, after listening to my clients, I work to provide them with beautiful and functional designs that are infused with their personalities, lifestyles and I do it all within their budget. Call us today to schedule your complimentary consultation at 610-363-1717. Jennifer is owner and operator of Stage of Design, LLC. She has been decorating and designing for over 20 years. Her love of all things interior, provides her insight to provide welcoming surroundings through color and subtle tonality, formal but inviting. Keeping her client's wants and needs in the forefront...gives her complete confidence that warm and inviting spaces emerge. Result - the clients have the home that they want. Her love of design is shown through her communication with her clients and giving them what means the most to them. Jennifer's past years of experience of working in the field of visual merchandising for fashion retailers and in sales for large furniture/design retailers has given her the insight of client's needs and how to proceed with those needs. She realized after college and raising a family that her love of interiors and design called her to do this full time. She loves to create spaces for her client's enjoyment. She received certification as a Certified Interior Decorator- C.I.D. through Certified Interior Decorators International and also holds certification as a Home Stager | ISPR. 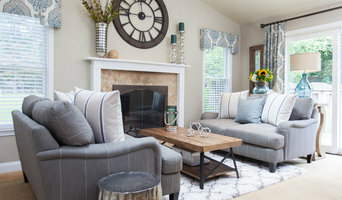 Chester County's Reputable Interior Designer 5x Best of Houzz Winner! INTERIOR DESIGNER AND DECORATOR: Redesign Right specializes in Interior Decorating, Interior Redesign, Home Staging, Color Consultations, and has a Certified Premier Design Training program. We come in and decorate your home starting with what you already own and love, and just like on TV, create a space you love! No job is too big or too small, home or office, Redesign Right can help you! FOR THE DIYer AND PERSON THAT NEEDS A REDESIGN: Do you have a room that needs a fresh look? We can design the layout of any space, rearrange what you already own, and build upon that model with new design pieces if needed. If you need to paint, we will find the perfect color for you. If you want to do-it-yourself, in a 1-2 hour consultation, we can create a cohesive design plan involving items and placement. We can pick the perfect color palette for your home. If you are planning to renovate, we can help you select the right countertop, flooring, and tile color. If you prefer the full-service design, we will come in with trained designers and transform your space in one day with a complete redesign just like you see on the Home Shows. HOME STAGING: If you plan to sell your home, we offer an affordable full-service, one-day staging package. We will come in with trained stagers and transform your space, where we do all the physical work, in one day to maximize your home's value and get you top dollar. We will position your things to showcase the attributes of your home and help the buyer connect to your home. FOR the DIYer, we will walk your home as a prospective buyer and help you formulate an action plan to prepare your home so that it appeals to the greatest number of buyers. Often the one day STAGING or REDESIGN package ends up being more cost effective than per hour. PREMIER TRAINING: Redesign Right offers a hands-on premier Interior Redesign + Home Staging Training Program for those who want to own their own decorating and home staging business without going to school for four years. In 5 days you will learn the principles of decorating and staging, color theory, and business basics in how to make money doing what you love! You will physically work in three client’s homes combining design principles and the client’s needs. There are no prerequisites for taking this class, only a love for decorating and a desire to make money. 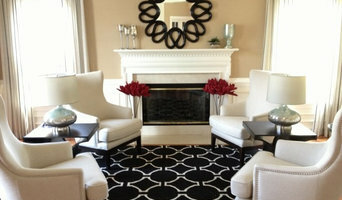 Provides interior design consulting for various jobs, working with individual needs and budgets. Kathleen L. Penney Interiors, Inc.
Offering full-service Residential Interior Design services. Specializing in: Renovation and Construction Project Management, Space Planning, Materials and Finishes Selections, Paint color selection, Materials installation, etc. Projects may include, but not limited to: flooring, window coverings, custom furniture, tile, cabinetry, custom mill work, accessories, etc. Available on a consulting basis on request. Authorized Hunter Douglas dealer. CDB Home can help you formulate and clarify your vision. We develop a plan. We facilitate the process and help you make the right choices. We want our clients to be able to live their best lives in a home they love, with beautifully designed, clutter-free surroundings. We treat our clients as we would like to be treated. With the best solutions to any design issue with your specific budget in mind. Listening to what you want and love, helping you find that is what makes us the happiest. Courtenay’s deep artistic roots and strong color sense, combined with her love of organizing space as well as stuff, uniquely prepared her to create a company that provides comprehensive Interior Design services for your home. She believes that you can’t have good design in a cluttered space. De-cluttering often leads to design opportunities that you’ve never been able to see. And a well-designed space is much easier to organize – and to keep organized. Courtenay’s vision is to help you create a beautiful home that you love, that clearly reflects who you are and allows you to move into your clutter-free future. A good home design professional will hone your style down to its very essence and be able to choose a functional layout that feels natural to you. Interior design companies can be involved as much or as little as the client desires. Many clients who hire an interior decorator in Downingtown, PA — particularly those who are remodeling — have a good sense of how the room should look and what products they should use. Often clients will insist that interior decorators use the products already present in the house. Other times a designer will need to start from scratch — especially if this is a newly purchased or just-built home. An interior design company will need to figure out exactly what the client needs, which includes organizing rooms, picking flooring and wall colors, and finding furniture to complement it all. Sometimes that means he or she will have to recruit help from other Downingtown, PA home professionals to help create the perfect look for your renovation. Here are some related professionals and vendors to complement the work of interior designers & decorators: Architects & Building Designers, General Contractors, Home Builders, Design-Build Firms, Photographers. Do your research before meeting with an interior designer or home decorator in Downingtown, PA. Ask yourself what you want your space to become and what it will be used for. Figure out the extent of what you need help with, what your must-haves are and what your budget is. Interior design services can add up fast, so be up front with a potential design firm or individual from the beginning. Also, pick an interior decorator that fits your style. Browse through the portfolios of different Downingtown interior design firms and decide if you would live in those houses. Just because you like something doesn’t mean you could live in it. There's a big difference! Find an interior designer or home decorator in Downingtown, PA on Houzz. 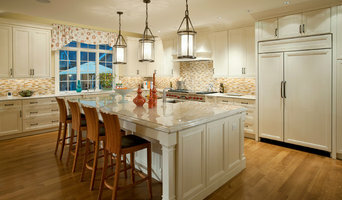 Narrow your search in the Professionals section to find Downingtown interior designers near you. 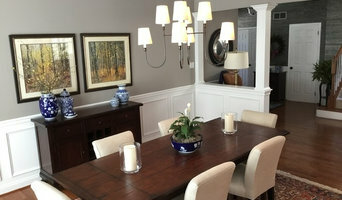 You can also look through Downingtown, PA photos to find a room you like, then contact the design firm who designed it.